The all time great Cricketer Brian Lara, who has smashed the record books over the past decade has produced the Brian Lara International Cricket game. This classic Sports game offers all the expected trials and tribulations of International cricket competitions. With excellent game play options and supurb graphics, this Cricket game really is one to buy, especially if you love the game of cricket. Most Englishmen love the hit and run game play of cricket, now you have the opportunity of playing cricket in your own home. 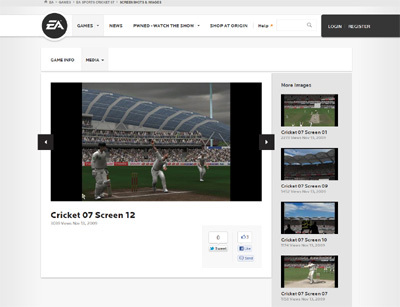 All of the Technical aspects of cricket have been covered in the console game, and we have to say it really is one of the finest cricket games we have tested in 2012. 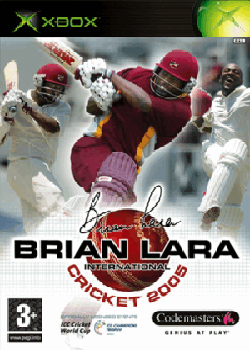 The developers Codemasters, have clearly worked closely with Brian Lara on this game, as it offers everything you could wish for regarding game play, sounds and graphical representation of cricketing styles. The cricket tournaments on offer are quite extensive, ensuring players interest levels are kept at a very high level, this aspect of any console game is a must for fellow gamers. If you love Cricket, then you really will enjoy this fantastic edition, it has everything you would expect from a quality game developer and professional cricket player combined. We have also compiled a Review System for this, of which Brian Lara International Cricket is Rated as Five Stars, the highest possible score available from the Game Review Team. 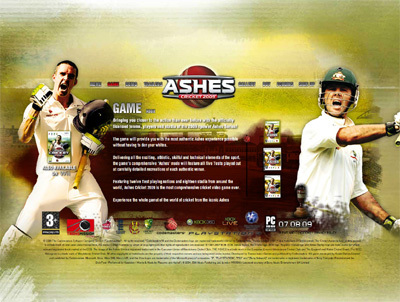 Ashes 2009 from Codemasters is one of the best selling and successful cricket based games of all time and has received excellent reviews from many of the leading video games critics. You will find the graphics to be very proficient and smooth running and the game play is also very good and really challenges players to be at their best. We have also compiled a Review System for this, of which Ashes 2009 is Rated as Three Stars, which is a great score from the Game Review Team.